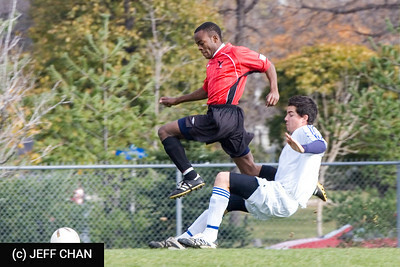 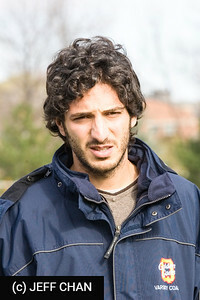 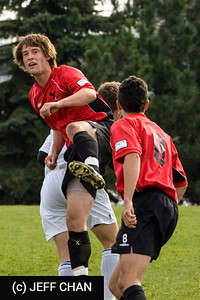 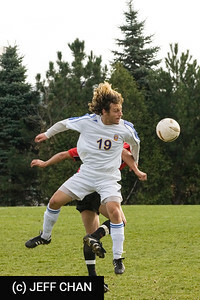 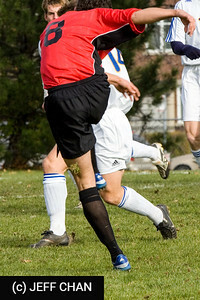 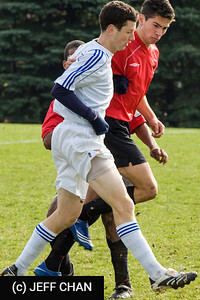 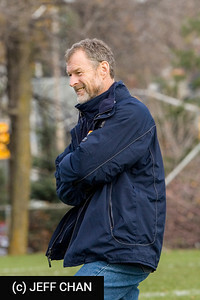 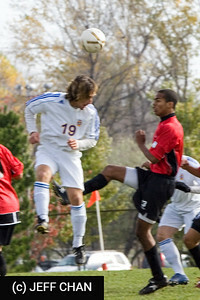 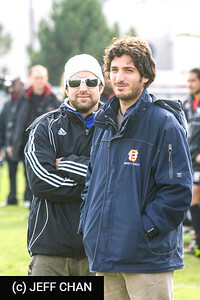 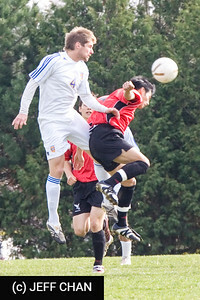 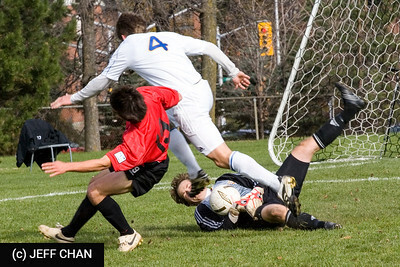 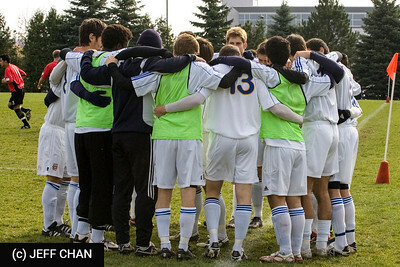 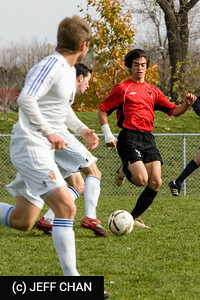 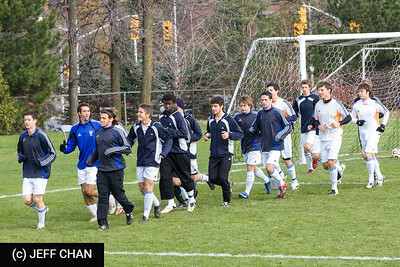 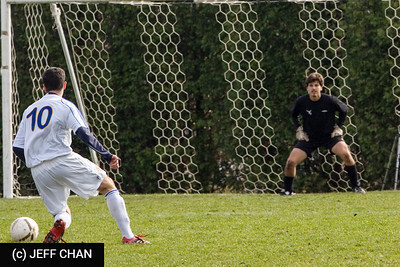 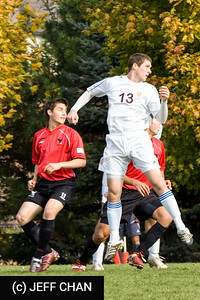 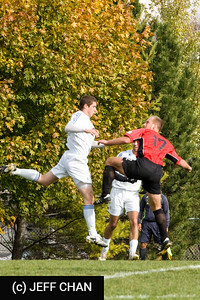 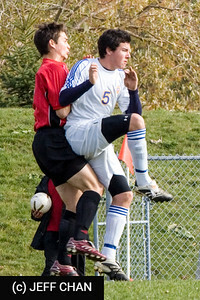 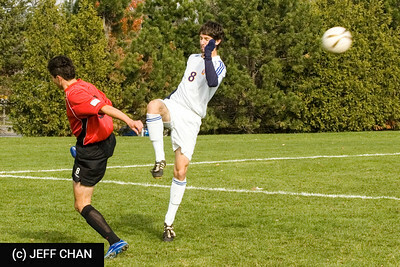 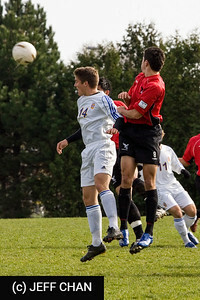 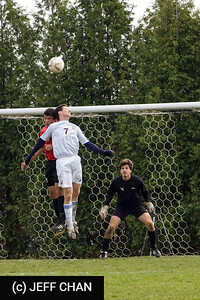 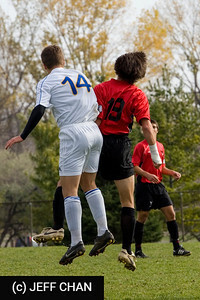 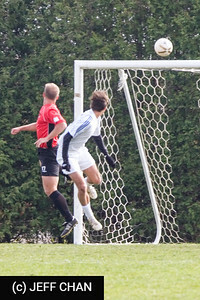 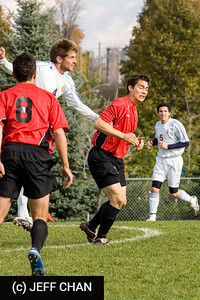 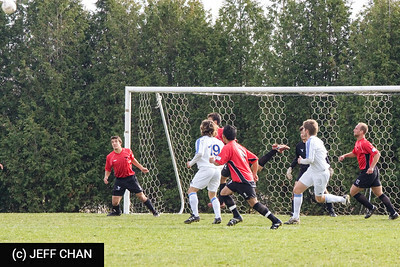 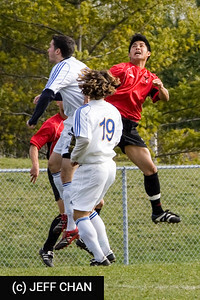 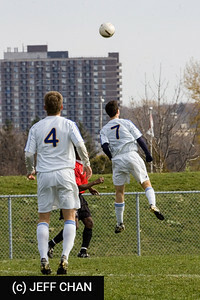 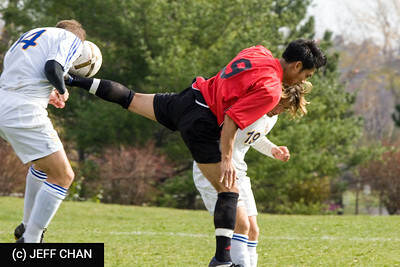 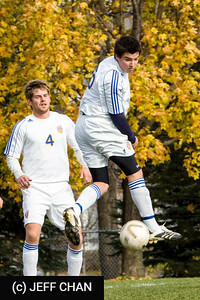 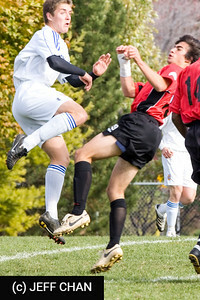 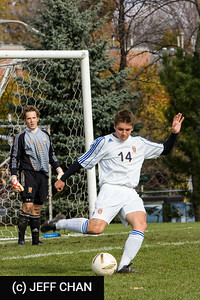 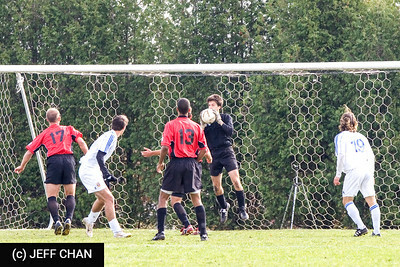 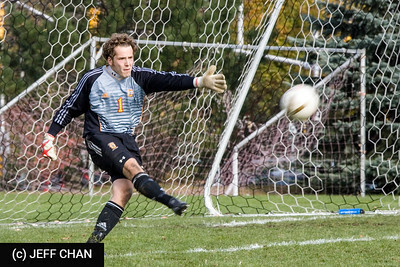 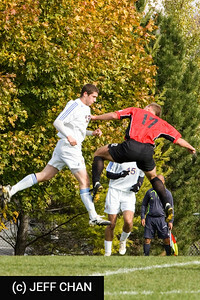 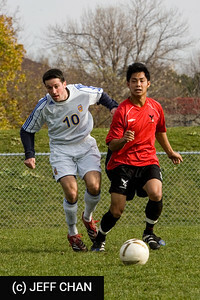 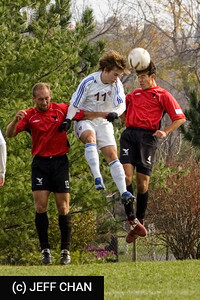 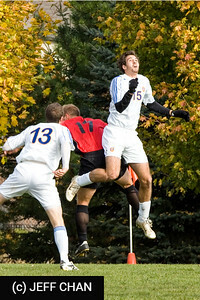 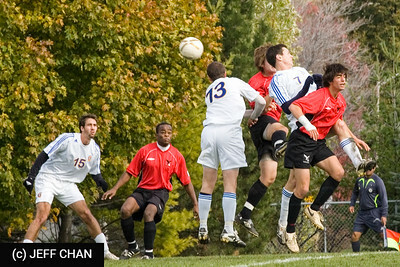 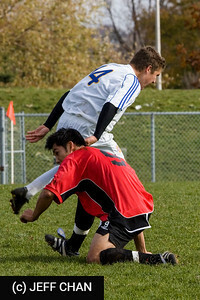 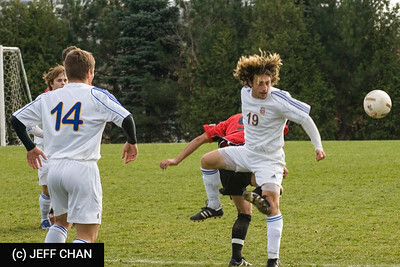 Photos of the 2007 OUA Mens Soccer Bronze Medal game, at Keith Harris Stadium, Carleton University, Ottawa, ON, on November 4, 2007. 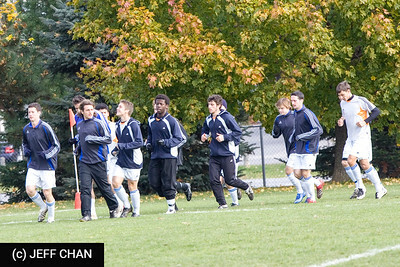 Facing the previously #1 ranked team in Canada, the Gaels withstood a Carleton territorial advantage in the first half to come away with a 0-0 draw at the break, took a 1-0 lead early in the 2nd half on a goal by Paul Paudyn and made the lead stand up with strong possession play through the remainder of the match. 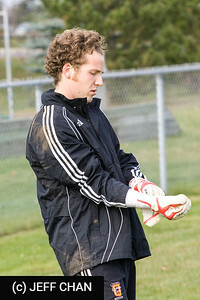 Tyler Lewis earned the shutout victory making seven saves. 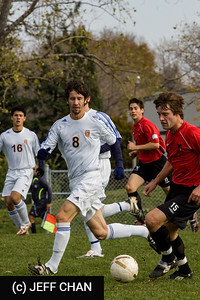 Queen's wins the 2007 OUA Bronze Medal. 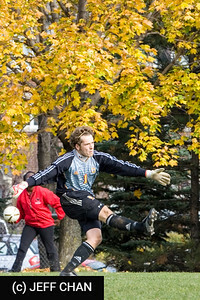 All photos are Copyright (c) Jeff Chan 2000-2007, but may be used for personal non-commercial use, or by Queen's University, Carleton University or the OUA, unless otherwise authorized.